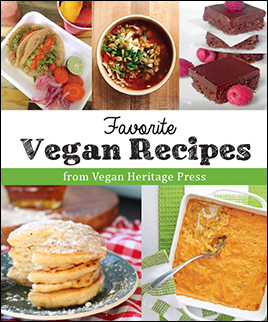 Vegan Heritage Press are distributed internationally through all sales channels. You can therefore order through your preferred distributors and wholesalers, including Ingram and Baker & Taylor. Andrews McMeel Publishing is the vendor of record for Vegan Heritage Press, LLC in the U.S., Canada, and throughout the international open market. AMP provides both sales and distribution services. Your existing Simon & Schuster account number can be used for all Vegan Heritage Press purchases. Payments and deductions for shipments of Vegan Heritage Press titles received prior to 3/3/2014 should be made to: Vegan Heritage Press, P.O. Box 628, Woodstock, VA 22664-0628. Payments and deductions for shipments of Vegan Heritage Press titles received after 3/3/2014 should be made to Simon & Schuster. Please ask about discounts and special offers by e-mailing us. Include your phone number, and we will promptly respond to discuss terms and discounts.